As the crowds of the desert bazaar haggle under wind-torn tents, a cursed rain pours from the sky. Hundreds of grayish worms splatter into pots of rare spice and barrels of imported foods, spreading panic all over the market! Intent on finding the source of this strange curse, the heroes uncover the lost catacombs of a forgotten tiefling kingdom. 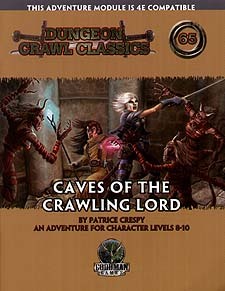 Soon they are in a realm of madness and entropy ruled by the crawling lord of the caves!